Sheridan Correctional Center is located in LaSalle County Illinois. It is a medium security prison that houses up to 2,099 adult males. This facility puts an emphasize on substance abuse treatment and therapeutic communities to reduce the recidivism rate among offenders. The facility consists of thirteen housing units, and an infirmary unit. 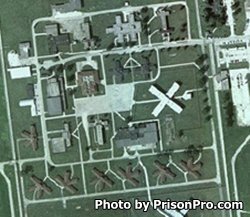 When originally built Sheridan Correctional Center was a juvenile facility, it was converted to an adult facility in 1973, and closed in 2002. In 2004 it reopened to house the growing inmate population. All offenders are encouraged to participate in vocational programs to increase the useable skills an inmate has. The vocational skills taught at Sheridan Correctional Center can also help inmates to obtain a job upon their release. Vocational programs include a barbering, welding, horticulture, warehousing, culinary arts, electrical, masonry, plumbing, carpentry, maintenance, and machining. This facility also participates in the correctional industry garment cutting. General population inmates who have been at the facility more than seven days are allowed to have visits Monday-Friday from 12pm-8:30pm, and Saturdays, Sundays, and holidays from 9am-8:30pm. Visits can be as long as two hours in duration. Inmates are allowed five visits per month, only two of the visits can be on the weekend or on a holiday. On the first and third Saturdays of each month visits do not start until noon. Substance abuse program inmates who have been incarcerated for more than 30 days have visits on Mondays-Fridays from 3pm-8:30pm. Saturdays, Sundays and Holidays are 9am-8:30pm. Inmates are allowed five visits per month, only two of the visits can be on the weekend or on a holiday. On the first and third Saturdays of each month visits do not start until noon.